How to get to Reggae Mansion KL: From Kuala Lumpur International Airport (KLIA) and KLIA 2 via: KLIA Express Train: -This express train takes approximately 28 mins to get from KLIA to the Kuala Lumpur KL Sentral Station. This is the quickest way to get to Reggae Mansion KL. -From KL Sentral Station, it will only take another 10 mins by LRT Train, or taxi. -Train runs regularly at about 20 mins intervals. The first train is at 5am and the last train departs at 1am from KLIA. Airport Send Off Service: -We do send off transfer from Reggae Mansion to KLIA Airport and KL central Station. The price is MYR 95 per trip per person. Airport Taxi Limo: -Please give the taxi driver the address and tell him that we are on the Junction of Jalan Tun Perak & Jalan Tun H.
S Lee -We are close to Muzium Telekom, St Johns Church, or Jalan Lebuh Ampang. The journey should take about one hour. Please take note that between 12am 6am, there is a surcharge of 50%. Airport Coach / Bus: -Please buy a Skybus ticket at the arrival hall. The bus takes you to the KL Sentral in the city in approximately 1 hour and 15 mins. -The first bus from the airport will leave at 7am and the last bus from the airport will leave at 1. From Kuala Lumpur Sentral Station via: Light Rail Transit Kelana Jaya Line (KJL): -At KL Sentral, you need to board the Rapid KL Kelana Jaya Line (formerly known as PUTRA LRT) at KL Sentral itself and head towards Masjid Jamek LRT station which is only two stations away from KL Sentral. -Reggae Mansion is about a short 5 mins walk away. 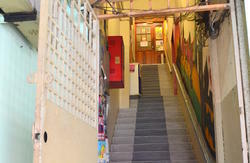 30 Walking: From Masjid Jamek LRT Station: -Reggae Mansion is only 5 mins walk from Masjid Jamek LRT Station. When you exit the LRT Station, walk along Jalan Tun Perak and you will see McDonalds. We are the opposite side of traffic lights junction next to a car park. -Walk down Jalan Tun Perak along Burger King Caf, walk towards the 2nd street on your right of Jalan Tun H.
You will see an open space car park and our hostel. -Our Faade Building is painted with Sky Blue with Black Window Dome Canopy consist of 3 storey building. From Puduraya Bus Station: -From outside Puduraya, walk towards Maybank Tower, and keep to the right-side of this main road (Jalan Tun Perak) -Take the 3rd road on the left, onto Jalan Tun HS Lee -You will recognize Reggae Mansion by our well known Sky Blue Color 3 storey building. -This express train takes approximately 28 mins to get from KLIA to the Kuala Lumpur KL Sentral Station. This is the quickest way to get to Reggae Mansion KL. -Train runs regularly at about 20 mins intervals. The first train is at 5am and the last train departs at 1am from KLIA. -The cost: MYR 35.00 per trip. -We do send off transfer from Reggae Mansion to KLIA Airport and KL central Station. The price is MYR 95 per trip per person. 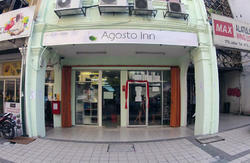 -We are close to Muzium Telekom, St Johns Church, or Jalan Lebuh Ampang. The journey should take about one hour. Cost: Approximately MYR 80.00 100.00. Please take note that between 12am 6am, there is a surcharge of 50%. -Please buy a Skybus ticket at the arrival hall. The bus takes you to the KL Sentral in the city in approximately 1 hour and 15 mins. -The first bus from the airport will leave at 7am and the last bus from the airport will leave at 1.15am. Cost: MYR 9.00 per way. -At KL Sentral, you need to board the Rapid KL Kelana Jaya Line (formerly known as PUTRA LRT) at KL Sentral itself and head towards Masjid Jamek LRT station which is only two stations away from KL Sentral. 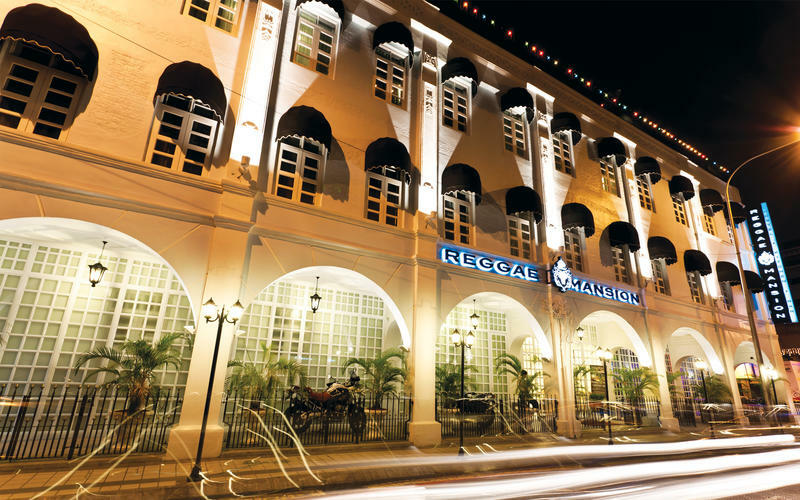 -Reggae Mansion is only 5 mins walk from Masjid Jamek LRT Station. When you exit the LRT Station, walk along Jalan Tun Perak and you will see McDonalds. We are the opposite side of traffic lights junction next to a car park. -Walk down Jalan Tun Perak along Burger King Caf, walk towards the 2nd street on your right of Jalan Tun H.S Lee. You will see an open space car park and our hostel. -You will recognize Reggae Mansion by our well known Sky Blue Color 3 storey building.